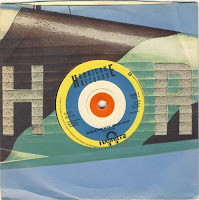 Superb mod revival from this London/UK band. This was their lone release. They also played a tour with "Eddie and the Hot Rods" in 1979. 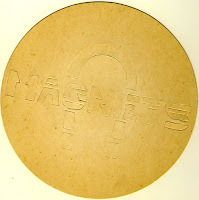 The record was released with a band logo stencil. Great great piece!! I like it a lot! Thanks mate! Anyone know if Steve..the guitarist is still around? Grateful if anyone can confirm that these are the same Magnets who supported Penetration at Brunel University in Nov 1978? Described in the student rag as being good, down to earth punk. I guess a lot could happen in 6 months back then - including turning into a mod band! Any info greatly appreciated for a Uni gig archive I'm compiling..